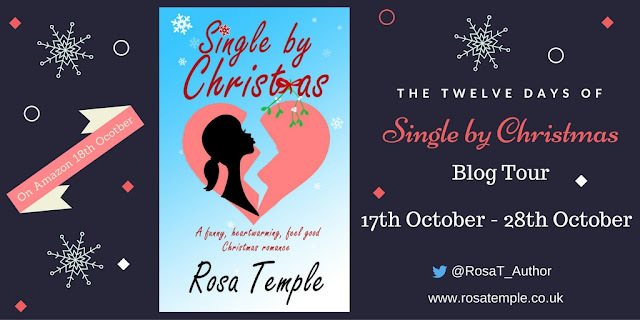 To celebrate the release of Rosa Temple's second book, Single by Christmas, I have 2 stops on this fabulous blog tour. 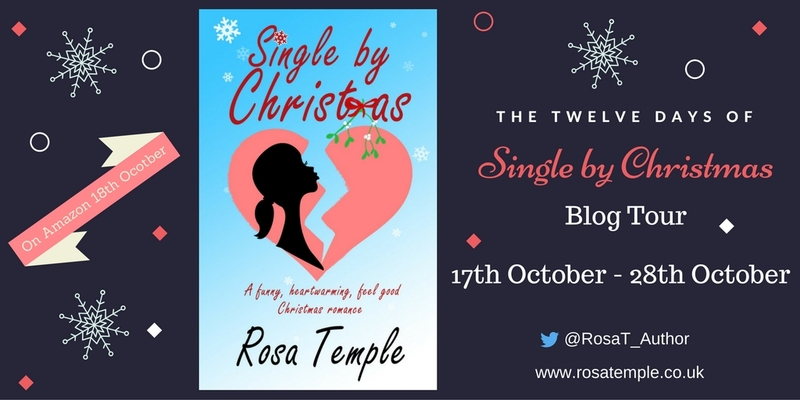 My first stop was Tuesday 18th October and you can read my review here, but as an extra special treat Rosa has very kindly allowed me to post an excerpt from Single by Christmas. Don't miss the giveaway that is running throughout the tour where you can win an e-copy for yourself. You might be wondering what I was doing, sitting in a graveyard at five minutes to midnight on Christmas Eve. And if you guessed gravedigger or graverobber, you’d be wrong. But ask yourself, who sits in a graveyard when it’s cold and out and out spooky unless it’s absolutely critical? The church, where I attend Midnight Mass with my family every year, is just across the way. But sitting on that particular bench just inside the graveyard was absolutely critical. You see, in the lead up to Christmas I managed to lose something. Well, not something, someone. Charlie; my reason for living, my heart, my soulmate … you get the idea. And before you start crying, don’t worry, he wasn’t buried there. At the time, I wasn’t exactly sure where Charlie was, but he knew I was there. Waiting. By the stroke of midnight I would have known for sure if I’d truly lost him. I’d asked him to join me and my family for the service. They’d arrived earlier. I smiled and greeted them all – Mum, Dad, big sister, Elise, and her husband and my younger sister, Jo-Jo. They asked where Charlie was and I managed to hide my worst fears and say he’d be along soon, that he was held up. So they just kissed me and piled inside with the rest of the congregation. My family had been looking forward to seeing Charlie, even more so than they were me. You see, like everyone who meets Charlie, they’d fallen in love with him. Who could blame them? He’s charming, he’s intelligent, he’s sweet, kind, generous. The list could go on. I admit those things weren’t what first attracted me to Charlie. No, the attraction was pure lust and desire. He walked into that New Year’s Eve party the year before and I was stunned into silence. And I’m never silent. Tall, well dressed, mesmerising looks and those dimples that appear every time he smiles, which he does a lot by the way. And I love Charlie’s family, too. His mum, Leeza, his dad, Don, who Charlie gets his looks and sense of humour from, and his brother. I wasn’t sure Leeza approved of Charlie having a white girlfriend, at first, but I realised that was just paranoia on my part. His family are not like that. His mum, who I grew to admire and love, was just being protective, the way some mothers are. But, I digress. My family had no idea that I’d seen Charlie twenty-four hours prior to the service and that we’d had a heated argument and that Charlie had practically slammed a door in my face. Minutes before that I’d made a complete and utter fool of myself in front of his wonderful family and he’d walked away with such disgust and disappointment in his face my heart broke in two. He’d closed the door on me but I hadn’t stopped sending begging texts and hysterical voicemails just so he would show up on Christmas Eve – like he’d promised me. I wasn’t expecting a miracle, just praying for one. Because it would have taken a miracle for Charlie to walk towards the church, bypass the tall wooden doors, see me on the bench, push open the graveyard gates and tell me he’d forgiven me. With everyone nice and warm inside the church, I continued to sit watching puffs of vapour appearing in front of my face from every exhale, brimming with an apology that may never be heard. 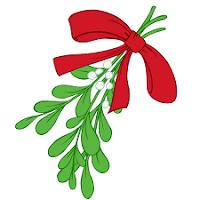 You might be saying, “If Charlie’s that wonderful, why couldn’t he just come to the church, it’s Christmas after all?” You have to know, he’d never be that unforgiving without very good reason. Honestly? 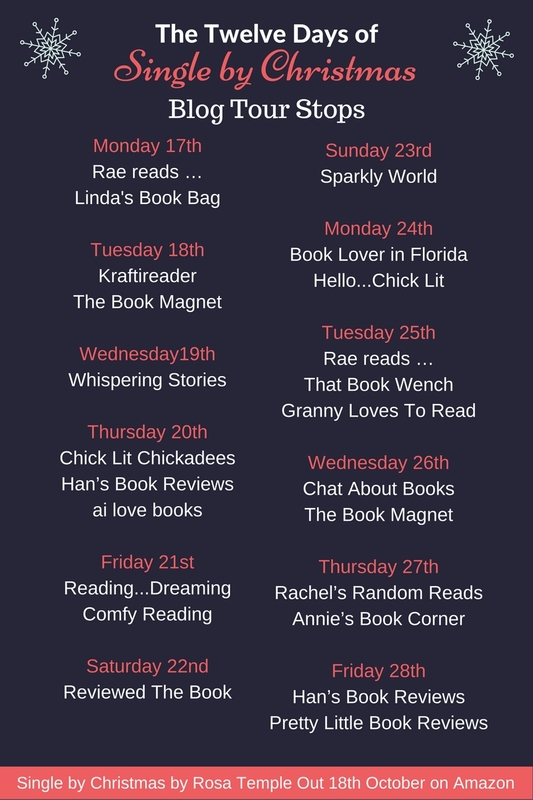 It took a whole year of knowing Charlie to finally understand what it is to love someone completely and to be loved the very same way in return and just one month to lose it all.